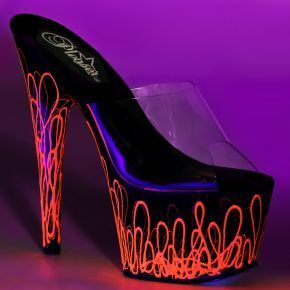 Platform Slide Featuring Curvey Lines UV Blacklight Effect of the brand Pleaser. 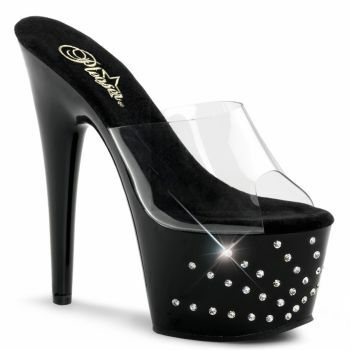 Sheer thigh high stay up stockings with lace top of the brand Coquette. 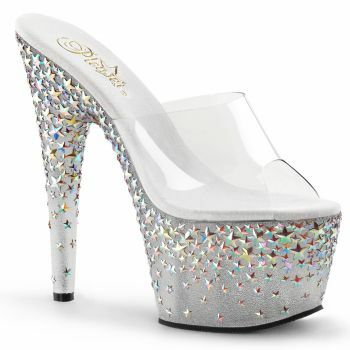 Extreme Platform slide studded with little rhinestones starburst. 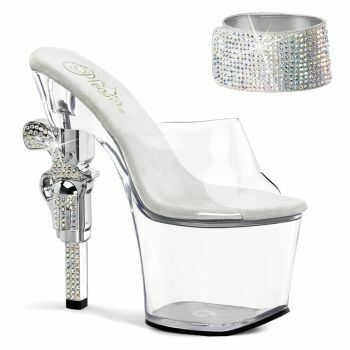 Transparent platform ankle strap sandal with heel and platform in chrome look.